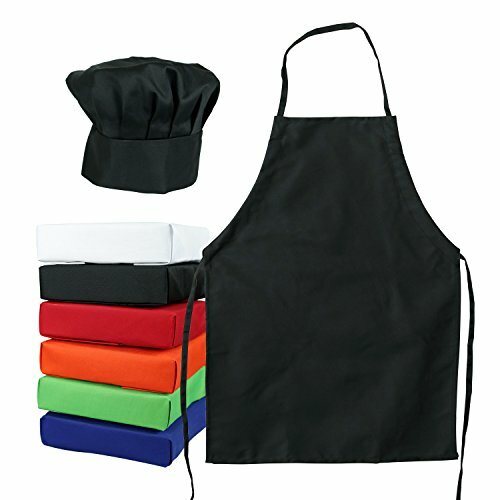 BLACK CHEFS HAT & Apron Set : PREMIUM POLYCOTTON FOR COMFORTABLE, BREATHABLE WEAR! 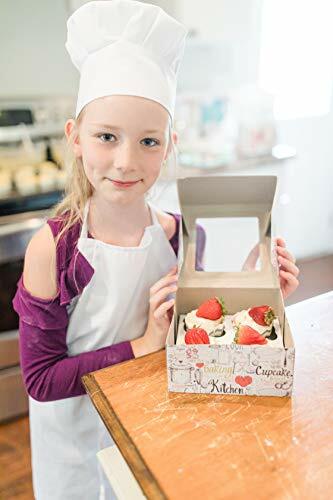 If so, Obvious Chef Child's Chef Hat & Apron Set is a perfect choice! Designed with a large, tufted mushroom style our set is ideal. 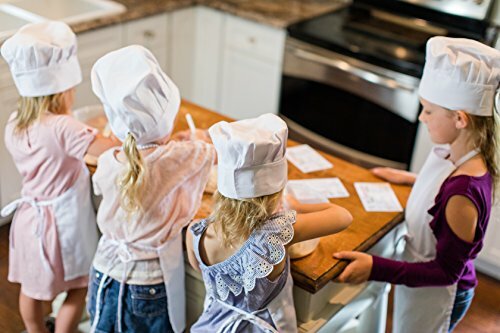 For use in all kitchen environments, our Chefs Hat & Apron Set is manufactured from breathable poly-cotton material which prevents the build-up of excess heat, together with an adjustable Velcro headband, to easily adjust the hat for the perfect fit that resists slipping and sliding when bending or leaning, for comfortable, non-irritating wear in the most fun and energetic kitchens! - Large mushroom design, comfortable for all hairstyles. 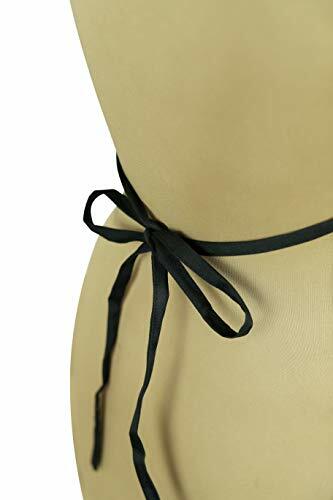 - Plain black color, perfect for matching modern chef's uniforms. 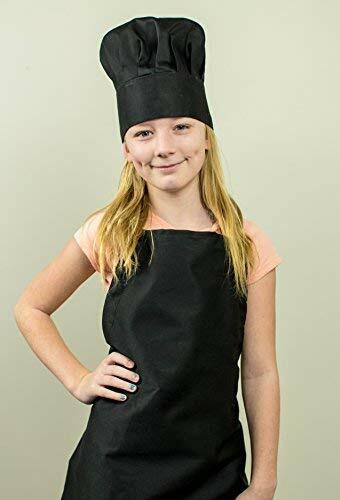 If you're looking for the perfect set either for play, or for a professional touch at home, our Child's Black Chef Hat & Apron Set combines machine washable, breathable material, a non-slip adjustable Velcro fit and a professional, black design, for the greatest value Chef's Hat & Apron Set on the market! 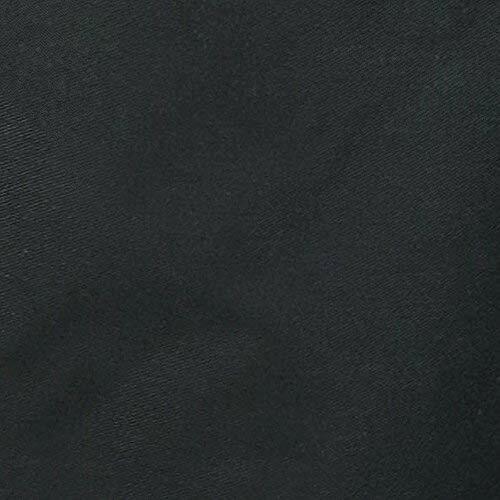 ✦ FABRIC: Ultra Durable 65/35 Polycotton, Fully Machine Washable. 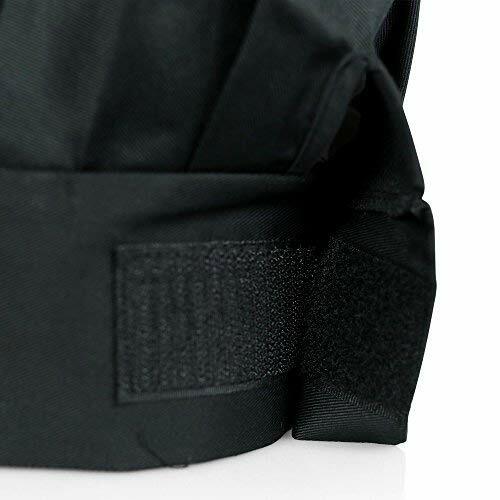 ✦ CLOSURE: Adjustable Velcro Back. 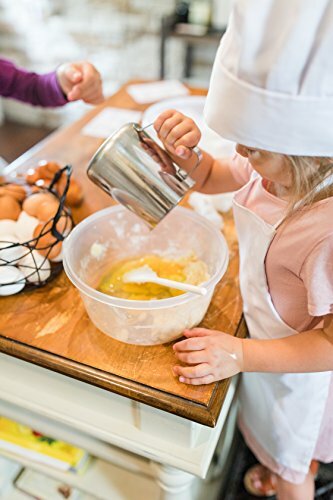 ✦ QUALITY: Our Children's Chef Hats & Apron Set's are made with the same great quality fabric and design as our Industrial Commercial Adult Hats and because of our extra emphasis on quality these will hold up to all the real world cooking your kids have in mind. ✦ 100% MONEY BACK Guarantee: If, For Whatever Reason, You Don't Absolutely Love Your ObviousChef Product. Just Return It, And We Will Refund Every Penny. No Questions Asked; Thank You for Buying.